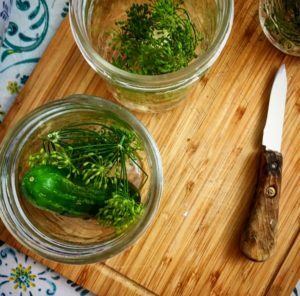 Dill pickles are an easy start for a beginning canner, and a staple of most home canners’ Summers. 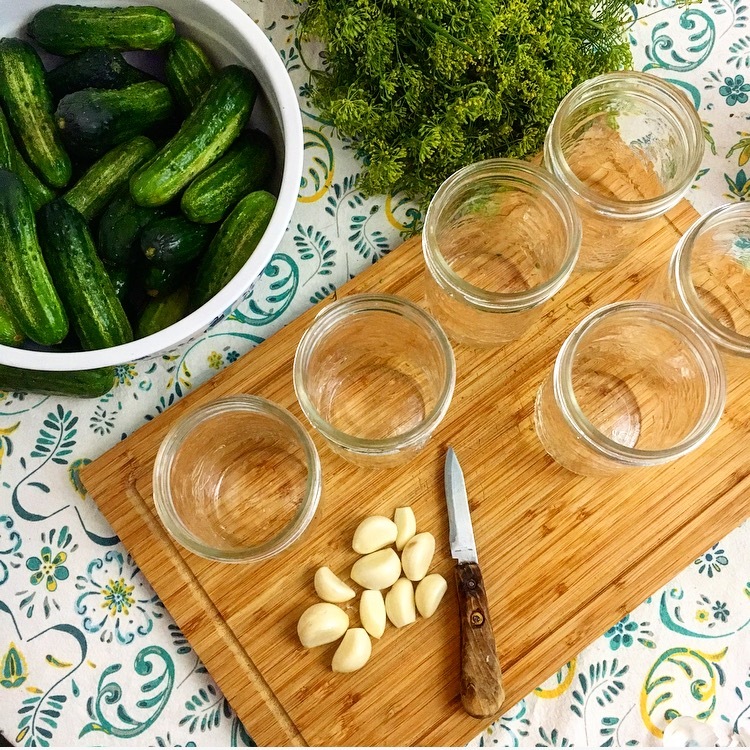 Pickling cukes are new cucumbers, and are available from sometime in July through until maybe mid-September. They’re a nice quick project, easy to do on a week night after work, and the ingredients are easily available at local Farmers’ Markets and at most grocery stores. Wash jars and new lids in hot, soapy water. Rinse well and allow to air dry. Scrub and rinse the cucumbers well under cool running water. 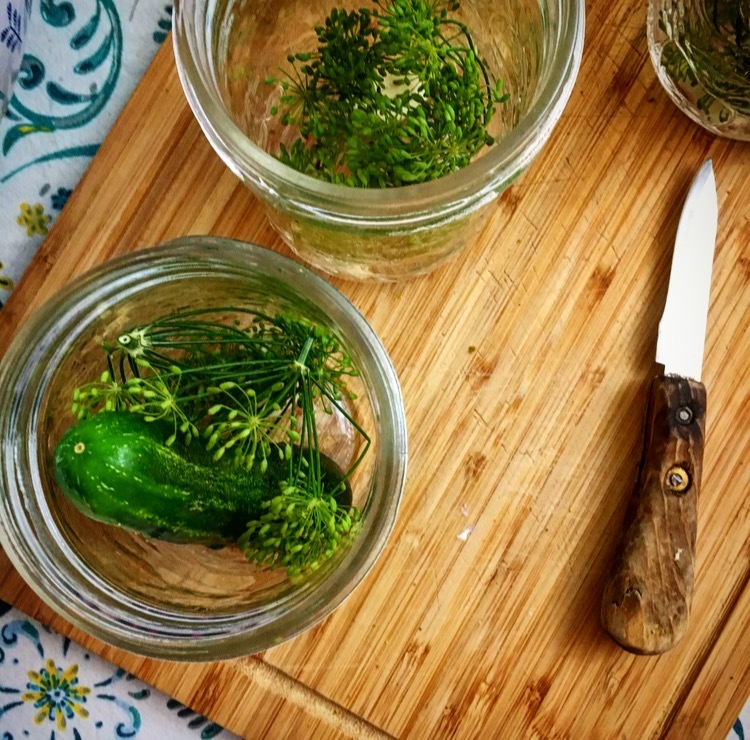 Drop 2 garlic cloves and a few large dill fronds into each jar. 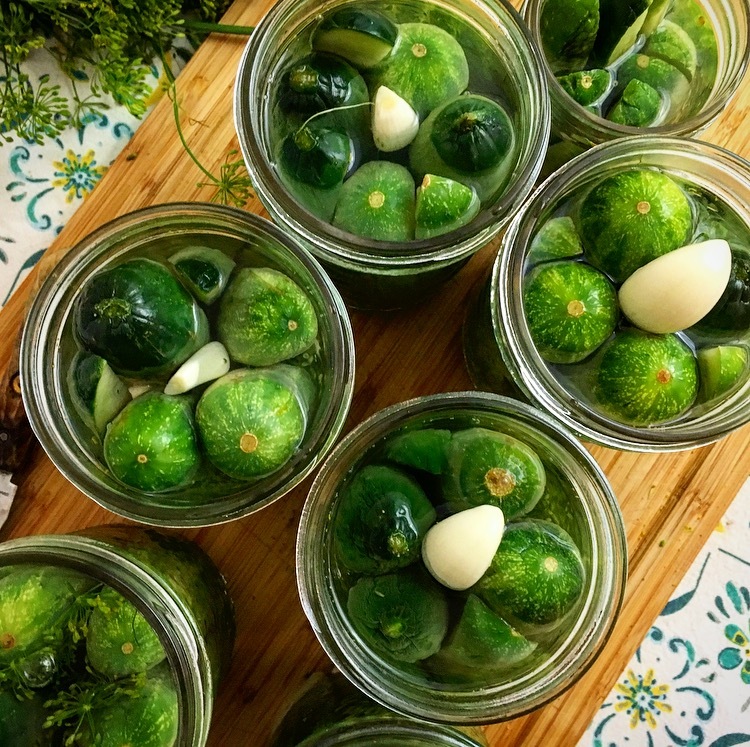 For whole pickles, pack the cucumbers snugly into the jars, starting with the larger ones and filling in gaps with smaller ones. 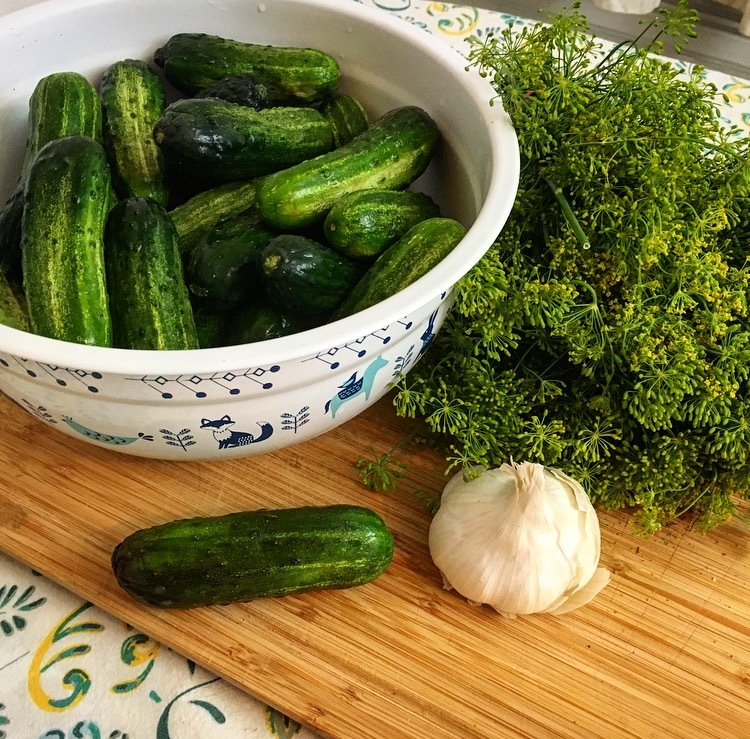 (Cucumbers shrink a little during processing, so pack tightly.) I usually fill any additional spaces with cucumbers that have been sliced into quarters. Combine water, vinegar, and salt in a large saucepan. Set over high heat and bring to a light boil, stirring while the salt dissolves and the liquid turns from cloudy to clear. Ladle the hot brine over the packed cucumbers, leaving a ½-inch headspace. Process in a boiling water bath canner for 10 minutes. Start timing when water in canner returns to full boil. When the processing time is up, turn off the heat and remove the lid. Leave the jars in the canner for 5 more minutes (processing times differ at different altitudes; please check before processing!). Remove processed jars from the canner and leave to cool for 12 to 24 hours. Do not tighten the screw bands while the jars are cooling. Remove jars and set aside to cool. Check for seal after 24 hours. The lids should not flex up and down when centre is pressed. 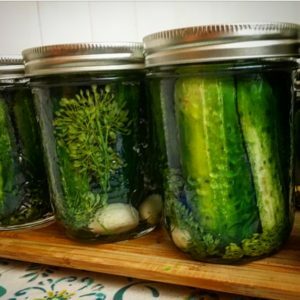 If they any jars haven’t properly sealed, store them in the fridge and eat them soon. Allow to pickle for a month or longer; eat within one year (or so). For more delicious recipes, visit the Family Recipes page!